Get your brain going with our fun and interesting infographics geared towards the contact centre reality! 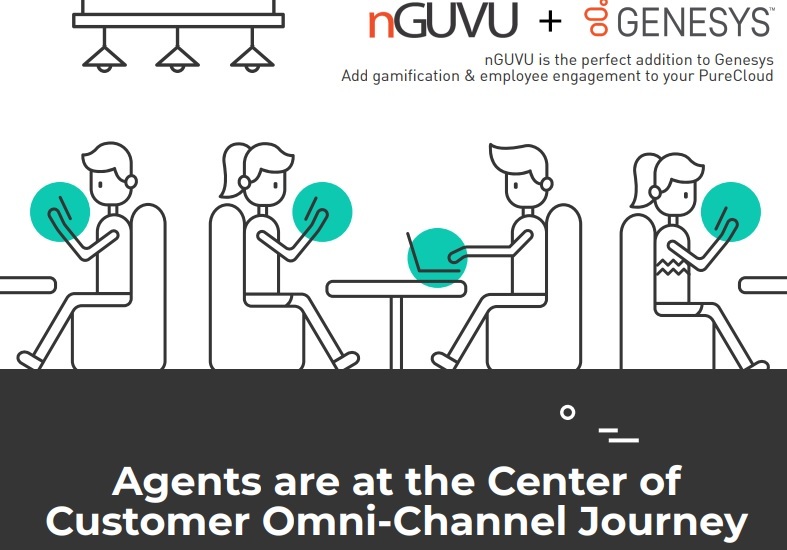 nGUVU team has put together an infographic that delves into the topic of calculating a gamification and employee engagement technology ROI. Both gamification and employee engagement has positive effect on employees and company revenue. Among nGUVU customers we identify 6 areas that are affected the most within contact center work environment. Employee turnover or attrition, engagement and productivity, daily absenteeism, new hire drop rate, quality of work, engagement and effectiveness when it comes to training and knowledge gaps identification. Why Genesys Is The Best Option For a Contact Center? Join us as we discover what makes Genesys PureCloud the best platform for a contact center. Phone, Email, SMS, Chat... Genesys PureCloud enables contact center agents to engage with customers across all key channels within a single platform. Learn how augmented reality, internet of things, co-browsing, consumer messaging and other channels impact the future of customer engagement. Learn how evolution of above mentioned channels is going to add complexity in the world of contact center agents. immersing them in a fun game - like environment. With nGAGEMENT’s integration to the PureCloud solution, it is now easier than ever to offer something new and innovative to your PureCloud nGAGEMENT is the only solution that can transform their agent’s day-today life into an immersive, engaging and motivating journey… the perfect addition to PureCloud. Get our latest infographic for the full picture on how nGAGEMENT can improve teamwork, productivity, engagement and motivation for your contact center agents. This is by no means a comprehensive guide to machine learning, but rather an infographic depicting the basic components - for those that like both Machine Learning and Emojis! Agent engagement is often put on the sidelines in contact centers. Managers are usually focused on simply organizing their workforce as opposed to optimizing it. With this type of mindset, your contact center continues to lose thousands of dollars on a daily basis. Studies have shown that agents are your biggest and most valuable assets, so why not include them in the equation?